A Miami Beach homeowner has been treating snowbirds like pesky starlings, blasting them with reggae music and training a searchlight on their boats at night to drive them off when they anchor behind his $5.3 million mansion. 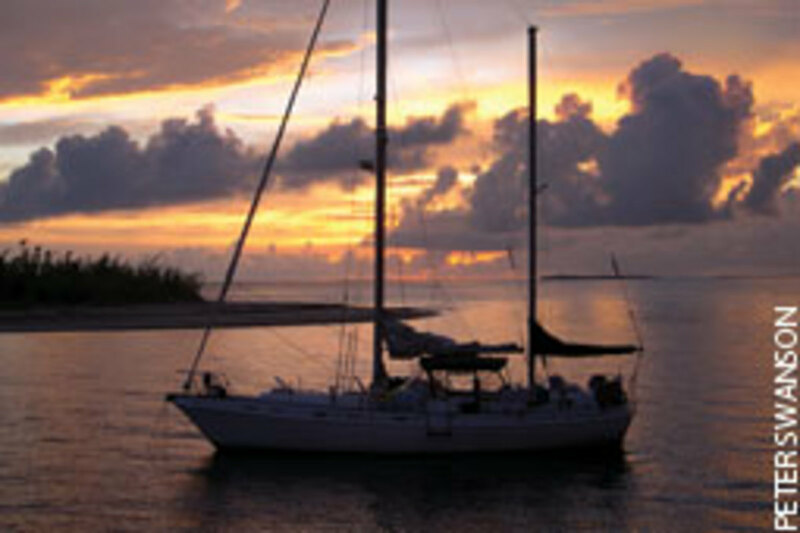 Seeking peace and quiet and a protected overnight anchorage, Jennifer Rider and Al Holden anchored their 34-foot Marine Trader, Close Knit, May 3 behind the estate on Sunset Lake while making their way to the Florida Keys. 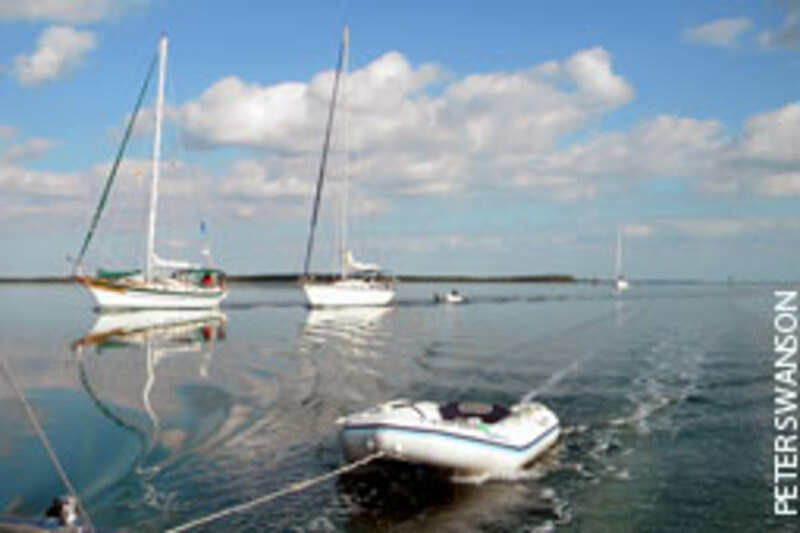 Versed in Florida’s new anchorage law, Holden knew that neither localities nor their residents can stop cruisers from anchoring in public waterways unless the city has adopted regulated mooring fields and an anchorage rule approved by the state. Holden stood his ground. “I’m allowed to be here,” he said. Returning to his dock, the estate owner cranked up the sound system on a go-fast boat he keeps on a lift behind the house and regaled the couple with reggae music. Once it was dark, he shined a bright searchlight on their boat, according to the sailor. This went on all night, Rider says, although it didn’t bother them much because window blinds blocked the light and a television and fans drowned out the music. The next morning, Holden and Rider weighed anchor and moved to an anchorage between Hibiscus and Palm islands because the homeowner had promised to anchor his go-fast beside them all day and rock to more reggae. The homeowner, Fredric Karlton, a real estate investor and 2009 city commission candidate, says he bears no personal animosity toward boaters. He is a boater himself and has been for 35 years. The beef he — and his wife, especially — have with boaters who anchor behind their home is that they encroach on the family’s privacy. “If I park my van outside your home on the public swale, you’re going to call the police and have me removed,” Karlton says. He says a neighbor tells him it’s “creepy” when cruisers anchor behind her house. “It’s like being stalked, whether they’re watching you or not,” he says. Karlton’s wife resents having to hide behind window coverings at night or when she takes a shower to protect her privacy and that of the family. He says that when the intrusions upset his wife, he dinghies out and asks boaters to move down the lake a bit, but they almost never do because they are legally entitled to anchor there. Karlton says he has never threatened boaters to get them to move, although some have said he has. He says the allegations are spurious and that the assertions that he’s just a spoiled rich guy who can’t stand freeloaders sharing his slice of paradise are misdirected. He says landlocked residents enjoy the right to peace and quiet and privacy in their homes; waterfront residents are “chastised” for claiming that enjoyment. The anchorage on the east side of Biscayne Bay between the Sunset Islands and Miami Beach proper is 400 or 500 feet wide — an “intimate setting,” as Karlton describes it — and surrounded by upscale homes. Although he’s the most vocal of its residents, he says none are happy about Sunset Lake’s popularity with cruisers. A Miami-Dade County investigator looking into allegations that Karlton improperly influenced police to shoo boaters from behind his house says in an investigative report dated July 15 that Karlton told him there had been “a number” of incidents neighbors attributed to boaters. 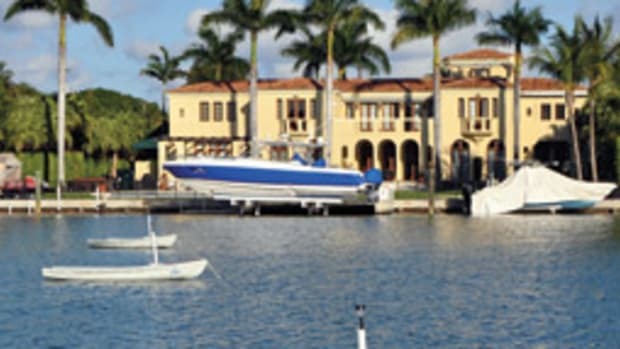 These include trespassing on private property and docks (there are no public dinghy landings on the lake), damage to and theft of residents’ vessels (Karlton says four of his PWC were stolen during an eight-month period), residential burglaries, voyeurism, loud noise in the anchorage, and damage to docks and other personal property. Karlton says a couple on a 26-foot sailboat that anchored near his dock for 2-1/2 months in 2010 repeatedly dumped sewage into the lake. He says his eldest son once chased off a trespasser from the anchorage who climbed his fence. Karlton says he and his neighbors have complained to the police, the mayor, several commissioners, the city attorney and the Coast Guard, to no avail. “I don’t know what the solution is,” Karlton says. Cruising forums, where Karlton is well known, offer this solution: “Sell my house and move off the water,” he says. 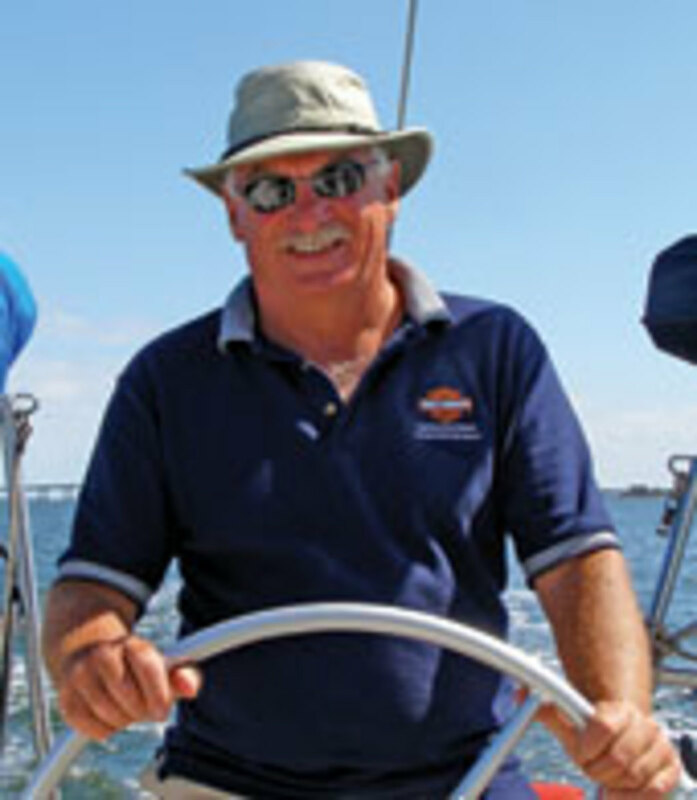 “There have been multiple captains who have written about difficulties encountered [on Sunset Lake],” says Jeffrey Siegel, of Castine, Maine, who cruises with his wife, Karen, on their DeFever 53, aCappella, and runs www.activecaptain.com, a website that rates anchorages. The site reported at least one other neighbor who shined a light on boats at night. Moran says the officers were respectful, almost apologetic, and they agreed with him that the student’s boat was legally anchored. Moran says he and his charges remained in Sunset Lake long enough to down a beer and finish their anchoring lesson, then moved on to a more hospitable anchorage. Moran subsequently filed a complaint with the city, triggering the ethics investigation into whether Karlton had improperly influenced police in their handling of the anchoring complaints. Karlton says that particular weekend he wasn’t home, so someone else must have made the call, but Moran insists that he saw Karlton on his boat that day and that the call from Karlton to the chief’s cell phone was recorded in the ethics investigation. 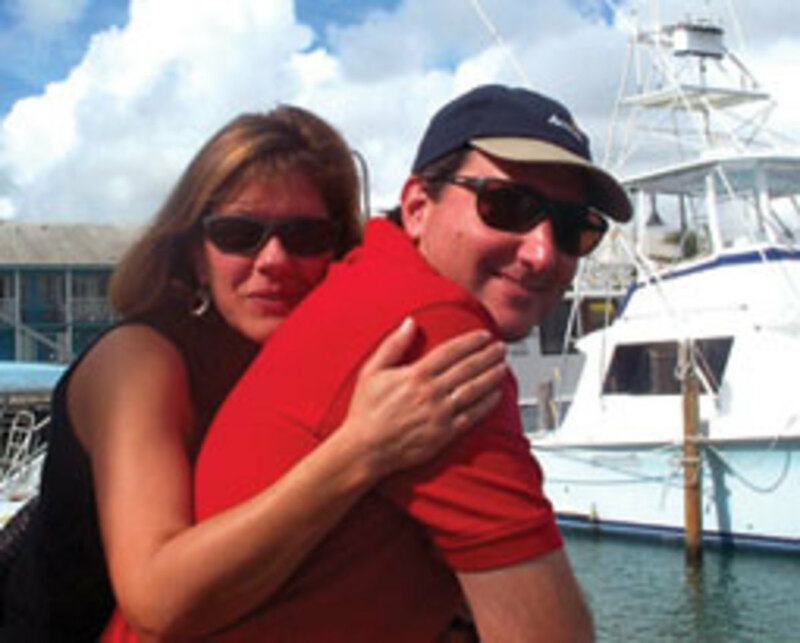 The July 15 report says Miami Beach police chief Carlos Noriega told the investigator that “he is aware of a series of confrontations with boaters anchored in public waters across from [Karlton’s] residence,” and although Karlton had called the chief to complain about them, the chief did not give Karlton preferential treatment but referred his complaint to the dispatcher as a routine dispute. 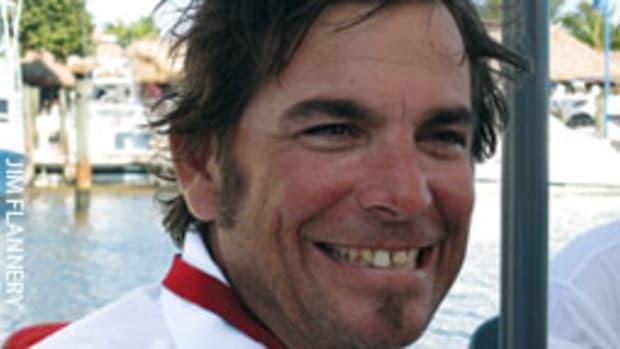 The report says police warned Karlton to “limit his interaction with boaters” or he could be arrested. The investigator concludes that the chief’s involvement in the anchoring disputes did not appear to be in response to improper political influence but a case of him dealing “reasonably” with a possibly volatile situation. The confrontations on Sunset Lake are a microcosm of the run-ins between those who spend millions to buy their dream homes on the water and cruisers who anchor behind these homes free. Homeowners say the anchor-outs invade their privacy, “spoil” their $5 million or $10 million or $15 million view, and run roughshod over their property. Cruisers, though agreeing they must respect property and privacy landside, remind homeowners that they have the right to navigate on public waterways and that anchoring is part of navigating. 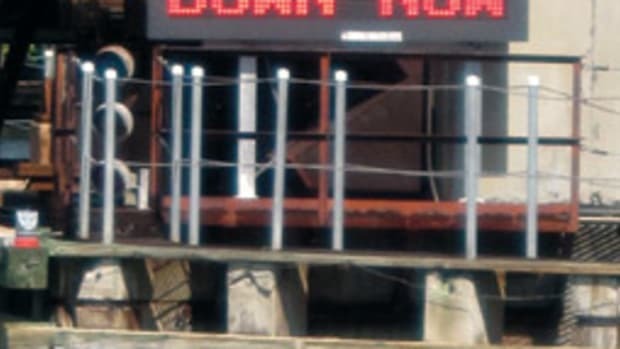 In January 2007, Dave Dumas, a retired Ford Motor Co. engineer, got himself arrested and charged with violating Marco Island’s 12-hour limit on anchoring within 300 feet of shore. He challenged the anchoring law’s constitutionality in a case that turned a spotlight on the troubled relationship between Florida homeowners and cruisers. A circuit court and then an appeals court ruled for Dumas. 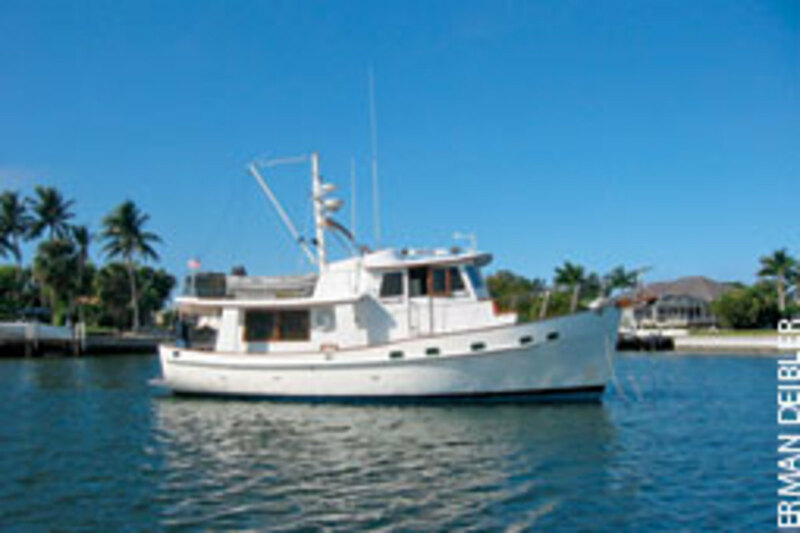 In June 2009, the city of Marco Island abandoned its appeal of the decisions after Florida clarified its anchorage law to give the state exclusive jurisdiction over anchoring, except where a locality regulates anchoring in its waters for safety reasons and where it regulates liveaboard vessels that are not navigating. 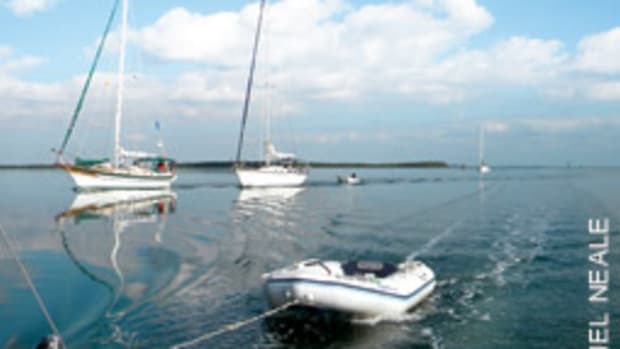 Florida counties and municipalities now can’t prevent cruising boats from anchoring in their waters, except when there is a safety concern, but that’s not the end of the story. 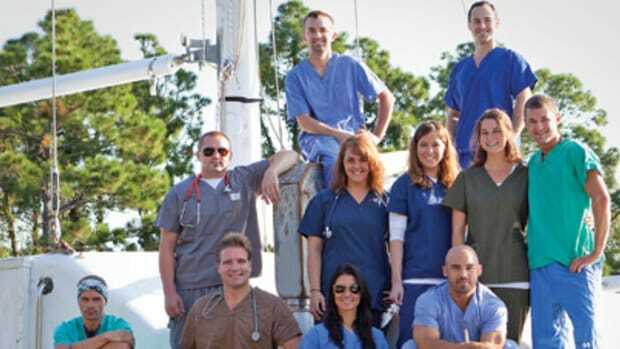 Florida has chosen five locales — St. Augustine, Stuart, the Keys, Sarasota and St. Petersburg — for pilot mooring fields. Its goal is to make cruising Florida more enjoyable, inspire more communities to put in moorings for the boating public, and try to defuse conflict between cruisers and waterfront homeowners. St. Augustine, which seems furthest along in its plans, has placed 163 moorings in three fields and is likely to adopt a 10-day anchoring limit outside the mooring fields for boats in navigation, says Jay Bliss, a veteran sailor and cruiser and commissioner for the St. Augustine Port, Waterway and Beach District. Vessels that are not in navigation and have no one living on them (i.e., boats being stored on the water) won’t be subject to the time limit, he says. 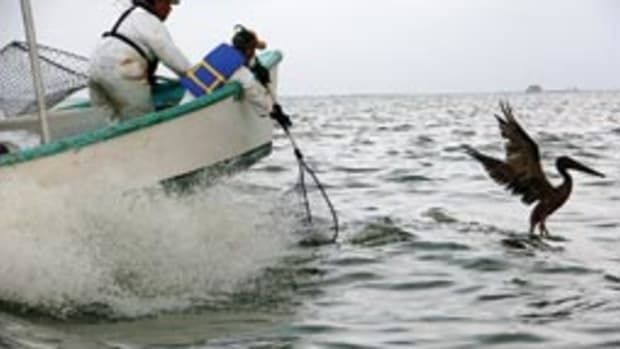 The measure, if adopted by the city, also would require approval from the Florida Fish and Wildlife Conservation Commission, probably at its September meeting in Naples. Bliss likes the moorings. They protect sea grasses, and the mooring fields offer tenant services — dinghy docks, pumpout, trash disposal, showers, and proximity to city businesses and historic attractions. But they cost $20 a night near downtown and $14 a night farther afield. Their effect has been to drive less affluent anchor-outs to waters just beyond the city limits. Bliss would like to see subsidized moorings — like subsidized housing — for resident anchor-outs whom the moorings have displaced from free public anchorages downtown. “Anyone who wants to be in a mooring field ought to be able to be in a mooring field,” he says. Bliss also is concerned that the pilot projects give localities what state law intended to take away from them: the authority to regulate the anchorage of boats in navigation — that is, cruising boats. He says the FWC will have to decide whether the pilot mooring programs strike a fair balance among the rights of cruisers, the concerns of waterfront homeowners and the desire of localities to control the spread of derelict vessels before the ordinances are adopted and again in 2014, when the FWC will tell the Florida legislature how the pilot programs have been working. The legislature will decide whether to keep the ordinances. Questions of public access to public waters spills into other areas as well. 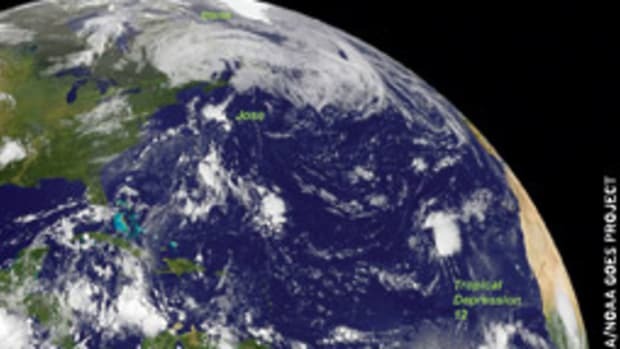 Col. Jim Brown, the FWC’s director of law enforcement, sent out a warning in early August that Wisteria Island near Key West and the submerged lands surrounding it are privately owned, so boats can’t anchor close to the island and beachcombers can’t stroll the island’s beaches below the mean high water mark. If they do, they could be run off as trespassers. But the submerged lands in Sunset Lake are not privately owned, so cruisers can anchor there. 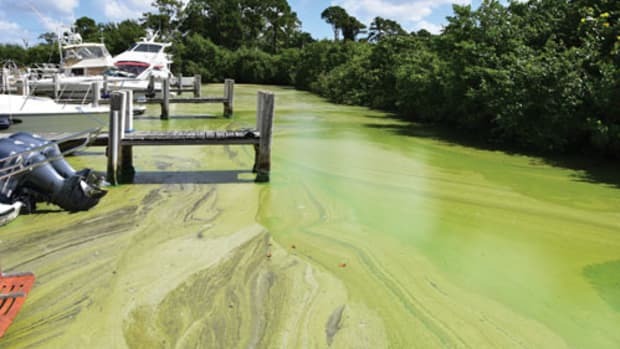 Bliss wants Florida to extend a warm welcome to visiting boaters, yet he realizes that finding solutions acceptable to cruisers and homeowners won’t be easy. “It’s a problem that we all have to work on,” he says.